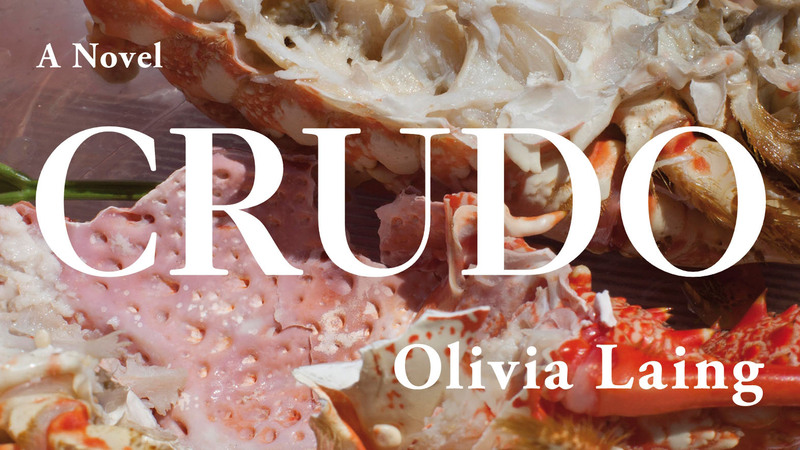 Olivia Laing discusses the cover design for her novel Crudo. Olivia Laing discusses the story behind the cover of her novel Crudo, and why she chose Wolfgang Tillmans' photograph astro crusto, a. Crudo is published in hardback, ebook and audiobook on 28th June 2018. Crudo is the first book I’ve written where I knew exactly what image I wanted on the cover. I’d seen the photograph at the Tate, at the Wolfgang Tillmans retrospective in 2017. At first glance, it looked like an abstract colourscape, composed of pearly white, Barbie pink and livid orange. On closer inspection, I realised I was looking at a smashed crustacean (a crab? a lobster? ), the remnants of somebody’s luxurious, lingering lunch. Just off centre, a fat black fly picks over the last gleaming hunks of meat. It’s a fantastic photograph: at once disgusting and voluptuous, stomach-churningly gorgeous. More than one person has told me it reminds them of a Renaissance painting. The combination of rot and abundance, and especially the fly on food is a classic memento mori composition, a reminder of the transience of all things of the flesh, no matter how lovely. True, it’s not actually raw, but it does tie in with a key scene in Crudo, in which the lead character, Kathy, smashes a crab open with a hammer. “She wanted to be cracked open, that was the thing, only on her own terms and within preordained limits.” Crudo is a book about opening up, about becoming less selfish. It’s about making a choice not to be armoured, in a world where borders and boundaries are ever more violently policed. From a Tuscan hotel for the super-rich to a Brexit-paralysed UK, Kathy spends the first summer of her 40s trying to adjust to making a lifelong commitment just as Trump is tweeting the world into nuclear war. But it’s not only Kathy who’s changing. Political, social and natural landscapes are all in peril. Is it really worth learning to love when the end of the world is nigh? And how do you make art, let alone a life, when one rogue tweet could end it all. Olivia Laing radically rewires the novel in a brilliant, funny and emphatically raw account of love in the apocalypse.